U2 3D opened in January, inspired me to start making 3D pictures. Maria Menounos rescued Hillary's campaign. I was wrong about Edwards in Iowa. Took photos of the Lunar Eclipse. For some reason this post about Chris Duhan gets a lot of hits. Danny Green "Tea Bag" on Paulus. And that's just through March, with hardly a thing about my mean-spirited Stop Hillary campaign. Stay tuned. To me, it's shocking that one generation could be so blatantly irresponsible as to leave such a broken system to its children. It's one thing to exploit other people, and - as much as I loathe racism or sexism or colonialism - it's a little easier for me as a social scientist to wrap my head around the idea of abusing others whom we first take care to differentiate, objectify and demonize on the basis of some arbitrary primordialist factor. But our own kids? Wow. And, actually, it's far worse than that. Using the term ‘irresponsible' here to describe what has happened is far, far too generous. This is not a case of negligence. This was a knowing theft, and our own children were the victims. While they slept, late at night, we crept into their rooms, stole the piggy bank, smashed it to pieces, then used the proceeds to buy some leisure time for sipping beer and watching "American Idol", or some bullets to destroy the lives of an innocent Iraqi family somewhere. Yep. No doubt about it. It's the feel-good story of the century, my friends. What is most astonishing about the whole thing is that I detect almost nothing in the way of anger from the victims. When I try to talk to my students about how my generation is ripping off their generation, somehow I'm always the angriest guy in the classroom, by far. Probably I should just keep my mouth shut, eh? I mean, I've paid into Social Security since I was sixteen years old, and I'd like it to be there when I'm an old geezer, unable any longer to fool some hapless university into paying me to scandalize yet another generation with my Maoist, anticlerical, sexually deviant, radical environmentalist revolutionary dogma. I'm okay with their generosity, but, to be totally truthful, I wouldn't exactly blame the next generations for saying "Screw you, pal. You guys had your party already, and we're not paying for it twice. Fund your own freakin' retirement." God knows we have that coming. Let me first say that I don't blame my parents, they're just about perfect! ;-) I see some qualify Boomers as '46-'64, but my 'rents are slightly older, and very responsible. Don't worry, the author gives each generation their due. And yeah, this is another reason I'm glad Obama won. He ain't no boomer (despite the '46-'64 tag), he's practically one of us, I mean, he's younger than Bono! 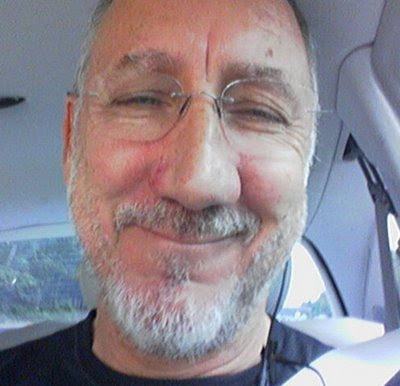 Just look at that smug Pete Townsend, still living. Hrumpf! ...there is another rendition of the story of modern conservatism, one that doesn't begin with Goldwater and doesn't celebrate his libertarian orientation. It is a less heroic story, and one that may go a much longer way toward really explaining the Republican Party's past electoral fortunes and its future. In this tale, the real father of modern Republicanism is Sen. Joe McCarthy, and the line doesn't run from Goldwater to Reagan to George W. Bush; it runs from McCarthy to Nixon to Bush and possibly now to Sarah Palin. It centralizes what one might call the McCarthy gene, something deep in the DNA of the Republican Party that determines how Republicans run for office, and because it is genetic, it isn't likely to be expunged any time soon. Reagan's sunny disposition and his willingness to compromise masked the McCarthyite elements of his appeal, but Reaganism as an electoral device was unique to Reagan and essentially died with the end of his presidency. McCarthyism, on the other hand, which could be deployed by anyone, thrived. McCarthyism was how Republicans won. George H.W. Bush used it to get himself elected, terrifying voters with Willie Horton. And his son, under the tutelage of strategist Karl Rove, not only got himself reelected by convincing voters that John Kerry was a coward and a liar and would hand the nation over to terrorists, which was pure McCarthyism, he governed by rousing McCarthyite resentments among his base. I have begun to suggest to my Republican friends that they might be happier if they would buy some bib overalls and move to Mississippi, the spiritual center and demographic redoubt of paranoid conservatism in America. In our southern swamplands you don't have to make subtle racist jokes or defend preposterous tales about how liberals are to blame for the Bush disaster or try to convince everybody that Mexican immigration is polluting our culture. Down there in GOP Hollow you can relax, get yourself some spider web tattoos, shave your head, marry your sister, set crosses afire and drink homemade whiskey with like minded people. Friends, this article offended me too.... I have often considered myself a Reagan Democrat, and Gabler put me in my place, too. I do think he makes many valid points, and I think the good Republican Party is doomed if they continue down the McCarthy/Palin route. Maybe this will be the way to get to a 3 party system? If so, it will be SO worth it. I encourage the intellectual wing of the Republican Party to stand up, do something, lest snake handlers take control.